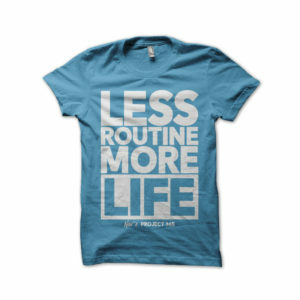 Life is better when it’s lived to the full. Make every day, every hour, every minute count. 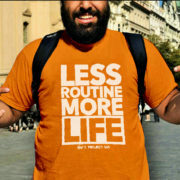 The less routine the more life. Make your commitment to a life less ordinary with this comfy, cotton statement tee. Unisex designed T-Shirt by Nav’s Project 365. This product is exclusively made and designed for Nav’s Project 365. The garment features high quality materials and a comfort fit with the unique Nav’s Project 365 logo print on the front. Please note that this order will not be dispatched until Monday 27 June at the earliest. Good things are worth waiting (a little while) for! 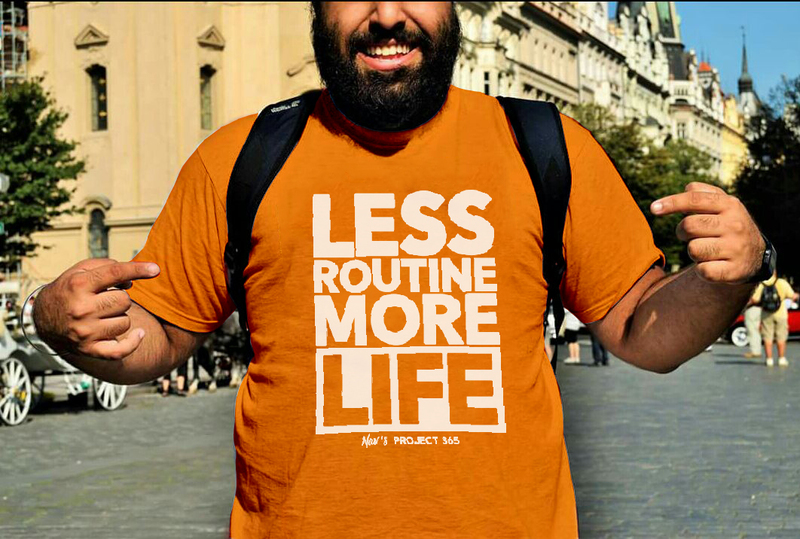 All proceeds raised from the sale of this t-shirt will support Nav’s year of voluntary work in India, where he’ll be helping to develop clean cook stove technology that will empower women and help save lives across the developing world. Find out more here. Nav’s Project 365 clothes are cut for a comfortable fit. But it’s best to use the guidelines below to help you choose the correct size.